Welcome to The Pootles Stampin Up© Annual Catalogue Bog Hop! 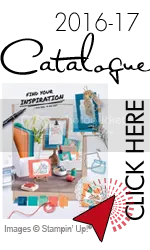 I am sure you are in for a real treat with lots of different ideas for using the various products that Stampin up have on offer. There were no rules to this one, only that we used product from the new Annual 2016/2017 catalogue. I decided to go with two stamp sets ( normally I try my best to only use one). I used Playful Backgrounds, just love this set as you can make your own DSP effectively in whatever colour you like. The other images are stripes, swishes splashes and filled in circles! Just Fab. Lovely card Mandy. still not got this set out, but i’m gonna give this a try. The more I see of the Payful Backgrounds the more I like it. You’ve made a wonderful cheerful card with it Mandy, I love it! Great use of that stamp set Mandy, will certainly be giving that one a go!